Many studies in different fields of social sciences, such as sociology, religion, history, art and philosophy, have been done on Alevism/Bektashism. Most of these studies have progressed towards revealing the sociological or political dimension of Bektashism. The increasing number of scientific works led to the need for bibliographical studies on Alevism/Bektashism. This paper analyses postgraduate theses available in the database of the Council of Higher Education written in the department of Turkish language and literature on poets/writers who are considered members of the Bektashi branch and gives a general information about the methods used in theses. The particulars of theses are listed in order to be helpful to those who will do studies on Bektashism in the future and to be supplement to the previous bibliographies of Alevism/Bektashism. The analysis does not include theses on Alevism done in different departments because the main line of this paper are bibliographies of the theses written in the department of Turkish language and literature on persons, members of the Bektashi branch, and their works. Bibliographies are arranged according to Apa 6 system. In the analysed theses, it occurs that Bektashism is discussed from different aspects. While some theses consist of analysis of a Bektashi poet/writer’s work, some theses discuss the socio-cultural aspect of Bektashism. In addition to these, there are theses that analyse the words and sentence types in the Bektashi poets/writers’ works, as well as the theses that include translations of the works of the poets/writers grown in Bektashi environment. The subheadings in the paper are as follows: Theses that analyse the works of persons related to Bektashism, Theses that limit Bektashism to one place and Other theses. The works created by Bektashi circles include “conk” and “mecmua” with the independent works created by Bektashi poets/writers. 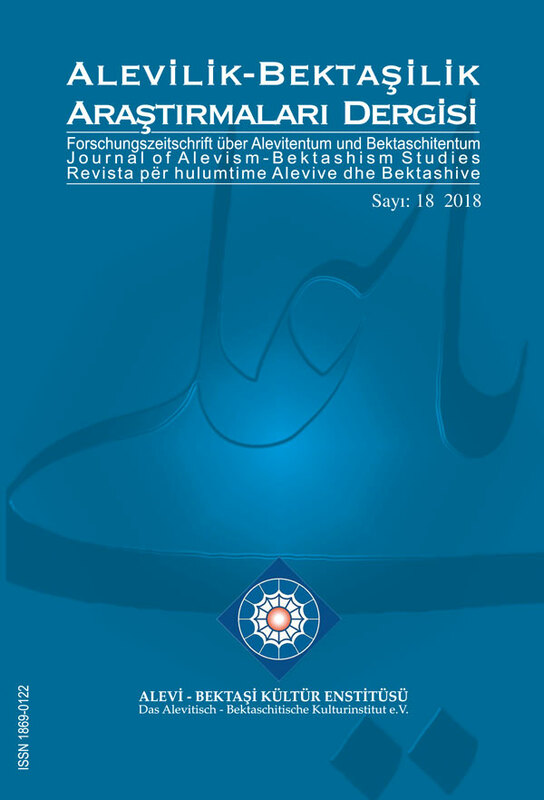 The theses on Alevism/Bektashism as a Sufi structure determined in the region that presents the basis of the analysis are evaluated under the heading “Theses that limit Bektashism to one place”. Uğur, A. and Bülbül, T. 2018. The Bibliography of Theses on Bektashism Written Between 1997 and 2018 in The Department of Turkish Language and Literature. Journal of Alevism-Bektashism Studies. 18 (Dec. 2018), 275-294. DOI:https://doi.org/10.24082/2018.abked.205.